Moving home to Australia after living overseas for 20 years was an eye-opening experience. You would think that the way things are done here wouldn’t come as a surprise to me, but I have been living in the American culture for a long time. Multiple websites guide new arrivals on how to establish residency. Since it had been 20 years since I lived in Australia, I was essentially starting like a new immigrant (with a few exceptions like obtaining my tax file number). They all recommend establishing your life in a certain order. Realistically, it’s extremely difficult to establish life in the order they suggest. Further, there are vital things missing on their lists (like opening a bank account). Let me tell you that a phone is a must. Before you can do anything else, you have to have a phone. How else are you going to call schools, inquire about jobs, and apply with real estate agencies and have them get back to you? This is the first thing you should do BUT first you must provide evidence that meets the 100-point identification system. Let me introduce you to the 100-point identification system. All companies use this system when you establish any kind of service: real estate agencies, phone companies, banks, Medicare… It’s essentially documentation proving who you are and that you are legitimately a resident. It’s comprised of two lists of identification – A and B – and you must provide identification from each list. And to make it that much more complicated, not every service requests the same information. They all have their own criteria that make up their own 100-point system. At the bank, I had to show my passport, driver’s license, and lease agreement to establish a bank account. When I was looking for a house, I had to show my passport, proof of employment or Australian bank account record, an Australian credit card or Medicare card (something additional with my signature on it) as well as reference names and phone numbers. When I enrolled my daughter in school, I had to show her birth certificate, proof of citizenship, Medicare card, lease agreement and my passport. So, if you look at all that, you’ll see it’s one big circle. I had to have a bank account to qualify for a house to rent, but I had to have a lease agreement to qualify for the bank account. Huh? Believe me, it will have your head spinning in no time. They all are requesting identification from each other it seems, but you can’t establish one without the other. Bottom line is: You can’t establish anything without a phone and a lease agreement. Period. So that is where you begin. Get a phone. You can use your international driver’s license, your passport and whatever address you are currently staying at (relative, hotel etc.). Find a place to live. This one is tricky, but check out the post titled “The Crazy Australian Rental Process” for more information. Get your Driver’s license. For people returning to Australia, it’s a matter of renewing your old license. Amazingly, I was able to renew mine from 22 years ago; they even reinstated my old driver’s license number. I provided an application, proof of name change and a current driver’s license from Texas. If you are moving to Australia, the RTA (Roads Transport Authority) recognise certain countries to transfer licenses over. That is, countries with similar driving rules. (Check out the RTA site for more information on this.) You may still have to have a sight test, a written test or even a road test, but it’s simplified for those countries. For all others, you are starting from scratch. Open a bank account. You will need a lease agreement, passport, and your driver’s license for this to go smoothly. Enrol in Medicare. Here, you need a lease agreement, passport and an Australian credit/debit card. Enroll your child in school. This is a legal requirement that your child must be enrolled in a school in Australia. Home schooling is allowed, but the rules are strict. To enroll, you need passport or birth/citizen certificate, Medicare card, lease agreement, phone number and email address. Find a job. This one can really be done anywhere in the process. And if you have a job before arriving, good for you! If not, all I can say is good luck establishing all of the above around your work hours, because that’s essentially when all of these services are open as well. 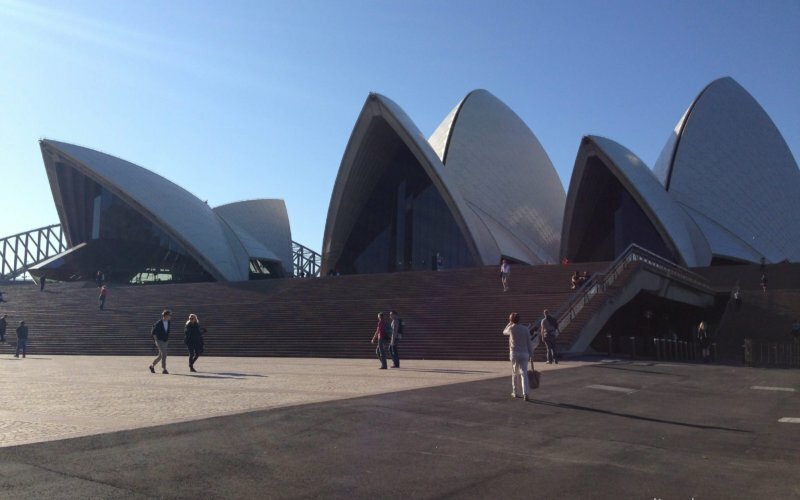 Even being an Aussie moving home, it’s been a learning experience setting up life in Sydney. 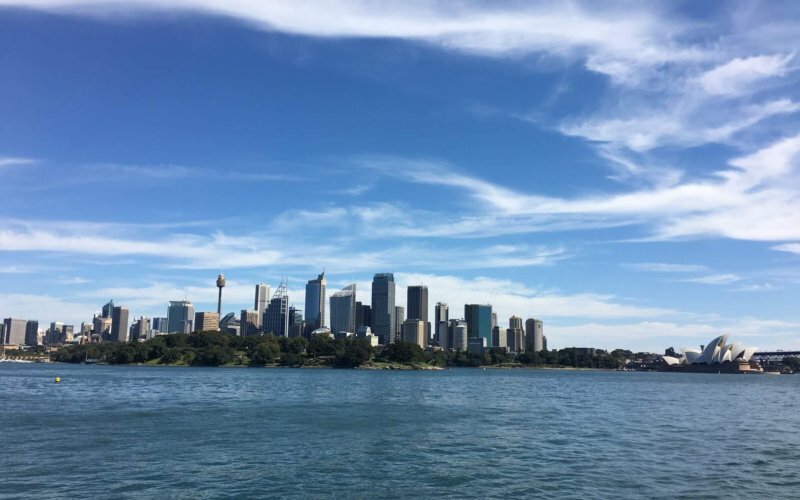 So, let me share some tips with you, things that people do not necessarily tell you, before you move to Australia (or to Sydney specifically). Internet takes at least 2 weeks to establish, IF there is service in your area. When you call to set up service, they will check whether it’s available, but don’t take that as gospel. They may still ‘book you in’ but then delay you when they try to figure out how to connect your service. My suggestion is: Shop around. I found iiNet to be the best and fastest. Telstra are next for Internet coverage, but have crap customer service. I won’t sugar coat it – their customer service is abysmal (which, I will note, is very unlike Australian customer service levels in general). Optus is another option. If you are lucky to live in an area that has NBN and internet is important to you, snap it up! If you buy a new car, it will come with collision insurance, but you have to buy comprehensive on your own, before you take ownership of the car. Again, shop around. There are plenty of insurance companies in Sydney, but the best price I got was through NRMA. Check out carsguide.com.au and carsales.com.au for a great start to find new and used cars. If you want new but can’t afford Australian prices, look for a demo model. I bought my 2012 Ford Kuga (Trend model) for $29k with only 3100km on it. A new one was listed at $38,000, which was way out of my price range. I negotiated the price down from $30k, so while not a lot off the listed price, it was still a steal. The car still looks and smells brand new and carries the full new car warranty. You can buy cheaper cars, but we needed something comfortable for both my husband and I to drive, along with it being a good camping/getaway car. Best yet, it only requires to be serviced once a year. Public transportation in Sydney is great. Buses, trains and ferries are all available at your fingertips, but you need an Opal card to get through the turnstiles. These can be purchased at Newsagents and Train Stations, as well as the Customer Service counters in Woolworths. Not sure about Coles, the other major grocery store. Buses have machines on them while trains and ferries have turnstiles. On all, you just tap on and off. For more information, check out http://www.131500.com.au. Check out the 131500 App for the timetable app for Sydney buses, trains and ferries. Don’t expect to have real estate agencies get back to you if you are looking for rental properties before you arrive in Australia. Be ready to hit the ground running to find a place to live as soon as you arrive (see my post called “The Crazy Australian Rental Process… for ‘Foreigners’ for more information). When trying to find a house to rent, check out domain.com.au or realestate.com.au. They also have iPad apps which were handy for us. Note the inspection times on the house information. If you like what you see online, come early for the inspection and come prepared with your application, as you may have competition. If you follow my guidance on my post called The Crazy Australian Rental Process… for ‘Foreigners’, then you will have much better luck being accepted than say, college/university students who may also be applying. Houses / apartments aren’t cleaned thoroughly before you rent them. Plan on spending a day (or a week) cleaning the house before you move in. But, make sure that the house is spotless before you leave, otherwise you won’t get your bond (deposit) back! Most shopping centres in Sydney have parking underneath or next to the centre. Most allow for 2 -3 hours of free parking. If you shop for longer, you need to pay for parking at the parking station prior to returning to your car. These are near the exit doors of the centre in the parking garage. Know that shopping centres charge different amounts over this 2-hour limit. Some may be $4 per hour while others may charge $8 per half hour. Check the parking station first before you plan on a leisurely shop. Be aware of speed zones, especially school zones and speed camera areas, along with red light cameras. Australia does not screw around. You will be fined – and heftily. And don’t get frustrated when the traffic seems slow, as they are probably just obeying the speed limits (60km/hr for most streets) and braking overcautiously for speed cameras (everywhere). 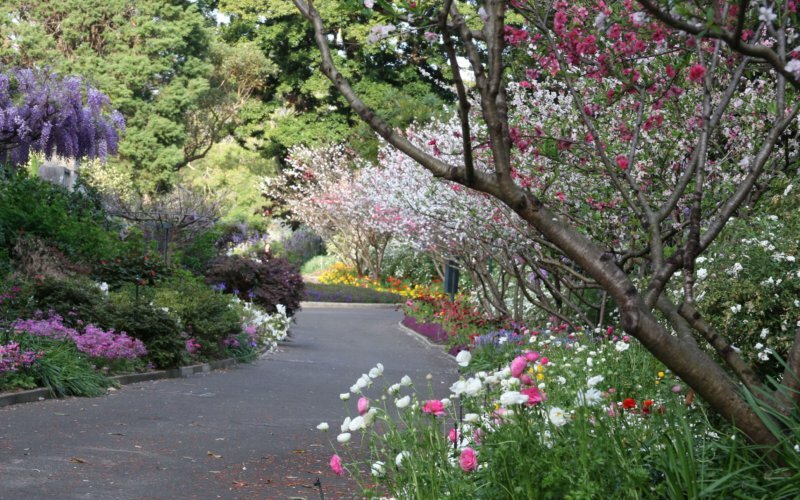 Sydney is the one of the most expensive cities in the world to live, so yes most things are more expensive (especially when compared to Texas), but you know, you can find some great bargains if you know where to look. Houses in Australia, particularly in Sydney, are outrageously expensive to buy. For example: a 2000 square foot house in the northwest suburbs range from $800,000 to $1.8 million, depending on the lot size and location. A friend’s villa with 3 (small) bedrooms and one bath sold for $950,000 in the northwest area only a few months ago. The cost of food will make your heart ache. A bunch of Cilantro (Coriander) is around $2.50. (I was used to 28 cents a bunch in Texas); You may be lucky to get a deal of 2 plain donuts and a cup of coffee for $5; A (small) cup of coffee will set you back around $3.50 (in the suburbs). But then, it is really good coffee in Sydney. A large loaf of bakery-made bread can be found for $2. We’re talking freshly baked, wholesome and delicious. Meat is cheap. For example: Two kilos (4.4 lbs) of 96% minced beef can be found for $12; Lamb can be found at $7.99 a kilo; Six Thick 100% Organic Beef Sausages can be found for about $5-$7. Coles, Woolworths (Woolies) and Aldi are your main supermarkets, but be sure to check out the bakeries, butchers and fruit shops that lay just outside them at almost every shopping centre. They run their own specials and often offer better quality and price compared to the big chains. Has this helped? Feel free to share if it’ll help someone else. 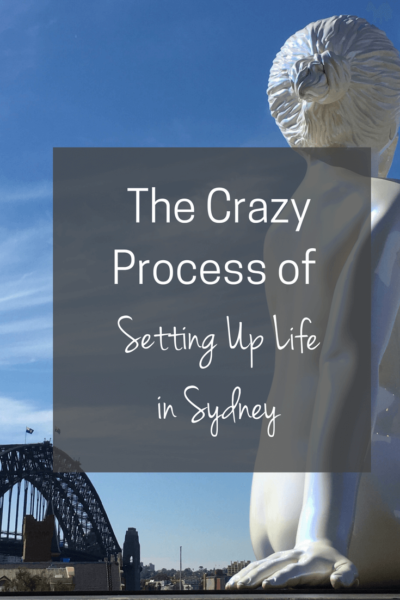 Previous Post How to Navigate the Crazy Sydney Rental Process! I’m glad I could help Brad! Yes, it’s a frustrating process and it need not be! That’s the crazy thing, but once you arrive, you’ll understand why. Be sure all your paperwork is in place for when you are ready to go to the Inspections, because there may be 20 other people putting in their applications along with you. The good news is, of the two applications we submitted (within a day of each other), we were approved quickly because 1. We were a family. and 2. Because we had our paperwork well organized. It was nice to then have a choice although I had to admit, we aren’t in a house (yet) that’s perfect for our needs, but it meets most of the ‘for now’ requirements. If there are any other questions you have, let me know. I’m happy to help. I think your post just answered our BIG question. Agents have essentially been ignoring us. We are a mere few weeks away from moving to Sydney from Toronto. Not a peep from any agent we’ve contacted about places we’ve found to be perfect for our needs. Thanks!